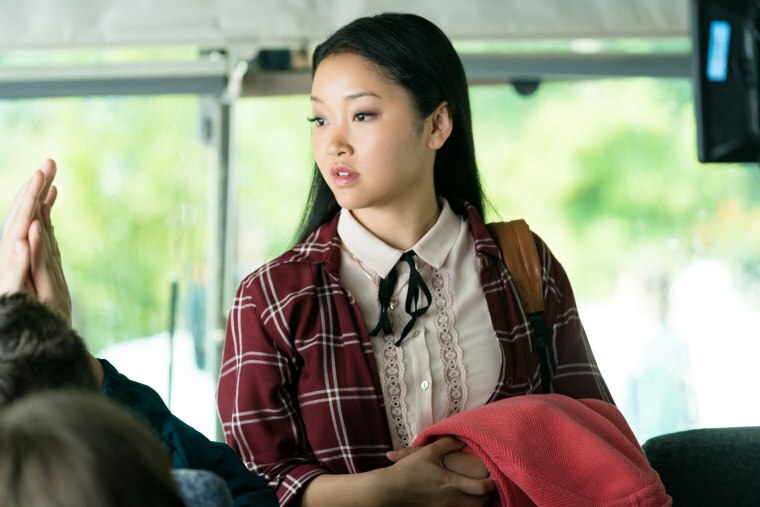 It’s been more than two years since Lana Condor got the call that jumpstarted her dream career, and now the 20-year-old actress is seeing another dream come true. That “here” is “To All the Boys I’ve Loved Before,” an adaptation of Jenny Han’s three-part young adult novel, that stars Condor as Jean Song Covey, a half Korean, half white teenager who lives with her widowed father and two sisters. The novel chronicles Lara Jean’s suddenly complicated love life, after letters she’s written to the boys she’s loved and hidden beneath her bed are found and sent. Born in Cần Thơ, a city located in Vietnam’s Mekong Delta, Condor was adopted when she was 4 months old, along with another baby, by an American family in Chicago. Her adoption was the subject of an emotional column in the Chicago Tribune penned by her father, Pulitzer Prize-nominated journalist Bob Condor. The Condor family moved around the U.S. – from Whidbey Island, Washington, to New York City and Los Angeles – but everywhere they went, Condor found a way to immerse herself in the arts. She trained with the Joffrey Ballet in Chicago and the Alvin Ailey American Dance Theater in New York. In Los Angeles, she joined her high school’s drama program. Suddenly, surrounding herself with people who acted for a living “kind of made the dream more of a reality,” Condor said. With the help of a commercial agent, she began going out for auditions and found herself, at her third audition, reading for a role for “X-Men: Apocalypse.” After multiple callbacks and four months of waiting, she received a call while she was in study hall. “My agents said, ‘are you alone?’ and I’m like, ‘of course I’m not alone! I’m in high school! I’m with literally everyone I know!’” Condor recalled. “So I just ran out of school. They told me I booked the job, and I fell to the floor and started hyperventilating." Condor graduated from high school early so she could begin filming “X-Men: Apocalypse,” missing out on milestones like senior prom and graduation, but looking back, she said she feels confident about her decision. “I mean, I could’ve gone to prom… or I could’ve done 'X-Men,'” she said, laughing. Playing Jubilee — also known as Jubilation Lee — a mutant who can generate pyrotechnic energy blasts with her hands, made Condor aware of her responsibility as an Asian-American actress working in Hollywood. Jubilee made her first appearance in the "X-Men" comics in 1989, and was written to be Chinese American, the daughter of two wealthy Chinese immigrants. The overwhelmingly-positive response Condor’s casting received on social media inspired her. As excited as people were to see an Asian-American superhero in an “X-Men” blockbuster, Condor remembers reading all the disappointed comments and articles written about Jubilee’s lack of screen time after watching the film, which was released at the beginning of summer in 2016. “A few months ago when I was on a plane, I was daydreaming about how fun it’d be to act in a romantic comedy, because I don’t know of any rom-coms where Asian women are the leads." Although she’s worked on several projects since "X-Men," including “Patriots Day” — a drama about the 2013 Boston Marathon bombing — and the upcoming action thriller “Alita: Battle Angel,” “To All the Boys I’ve Loved Before” is Condor’s first movie as a lead. Now that she’s been able to rest after nearly two months of 14-hour workdays, Condor has a new focus: Shortly after wrapping production, she created a scholarship through the Asia Foundation, through which she will pay to put a girl from Cần Thơ through four years of school. The scholarship will cover everything the student needs, including books, food, uniforms, and a bicycle to get to and from school.